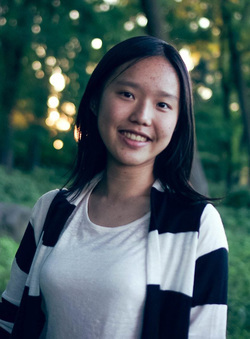 Kiki is a sophomore at Johns Hopkins University studying Applied Mathematics and Statistics with a minor in Computer Science. Hailed from Taiwan, she completed high school in Taipei before coming to the US for college. She believes in the empowerment of human life through science and technology. As Taiwan being the "sci-tech island of East Asia", and the US the lead in IT and start-ups, she hopes that TASC will open up dialogues and inspire innovative ideas among TASCers. On campus, she is involved in Taiwanese-American Student Association, Alpha Phi Omega, Society of Applied Mathematics, and Women in CS. In her free time, she enjoys photography, listening to Jazz, hiking, and running.